Construction of the Lot P Expansion: This expansion consists of the addition of +/- 290 parking spaces. In addition to new parking spaces, this project included the construction of a new wet detention pond, two retaining walls, parking lot lighting, security cameras and other supporting infrastructure. Construction of Lot S: Lot S was an existing gravel parking lot that was converted by McAdams into a formal paved parking lot consisting of +/- 700 paved parking spaces. This represents an increase of +/- 340 spaces. 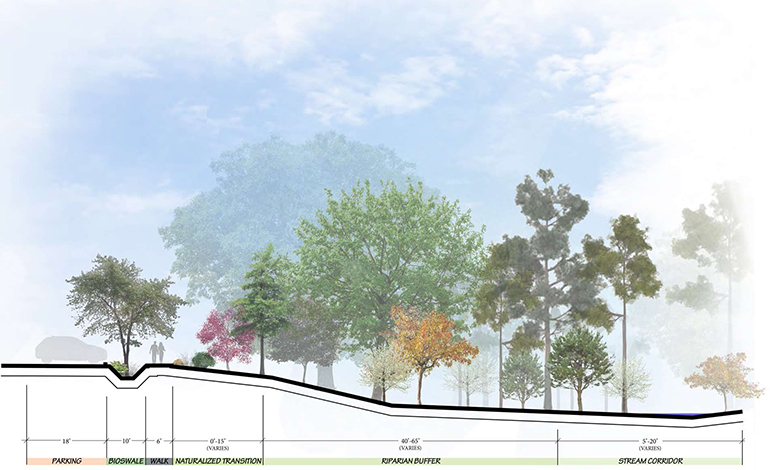 This project included the construction of a new stormwater wetland, several retaining walls, parking lot lighting, security cameras and other supporting infrastructure. However, a key component of this lot is the construction of the eastern edge of the campus ring road that will connect to the southern ring road. In addition, improvements to existing trailheads, renovations to the auto storage yard and perimeter site fencing were also completed. Rehabilitation of Lot A, Lot K, and Advantage Way: These were renovated using Full Depth Reclamation (FDR). In this technique, the worn out asphalt pavements were re-constructed by recycling the existing asphalt surfaces. The old asphalt and base materials were pulverized, mixed with cement and water, and compacted to produce a strong, durable base for the new asphalt overlay. 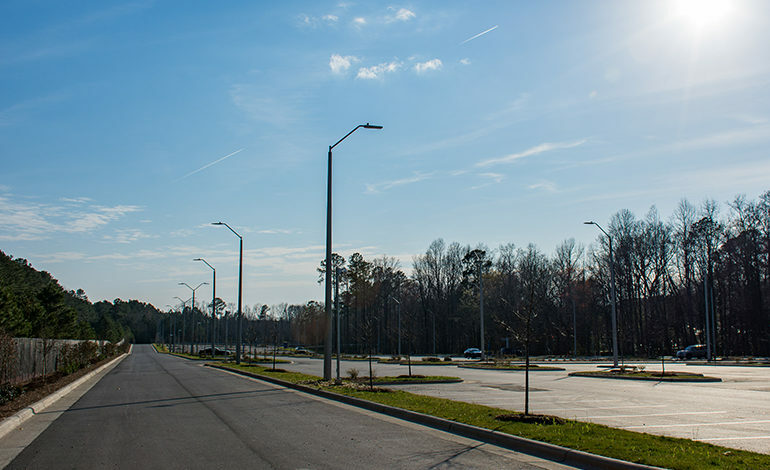 As part of these efforts, other site improvements were completed, such as improvements to the entrance drive at Wake Tech Way, a waterline stub for the future Facilities Warehouse Building, dumpster pad renovations within Lot K, along with new sidewalk and pedestrian speed tables in Lot A.